We use a Farrow & Ball French Gray painted finish which gives a smooth calming beauty to each piece of furniture. The Solid Oak top has been finished in Danish oil to show off the natural grain and colour of the wood. We use a Farrow & Ball Slipper Satin painted finish which gives a smooth calming beauty to each piece of furniture. Tulip Painted 2 Door Storage Cupboard. 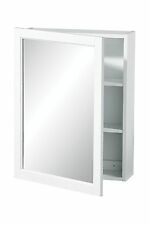 Keep your bathroom clutter free with our beautifully designed Portland floor standing cabinet. Assembly Info: Requires Assembly. Colour: Natural. 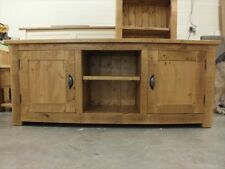 This Plasma TV Unit is available in any size, design and is available in a range of waxed or lacquered finishes. 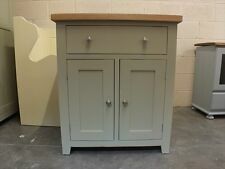 This Cupboard is available in any size, design and is available in any farrow & ball or dulux painted colour. 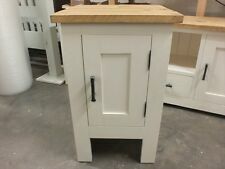 Shabby Chic Painted Small Cupboard- F&B Pointing. We use a Farrow & Ball 'Clunch' painted finish which gives a smooth calming beauty to each piece of furniture. This Plasma TV Unit is available in any size, design and is available in any farrow & ball or dulux painted colour. Keep your bathroom clutter free with our beautifully designed Portland floor standing cabinet. We aim to resolve or answer your query as soon as possible. Care instructions: Wipe clean with a soft cloth.